For centuries, fervently observant Jewish communities have produced thousands of works of Jewish law, thought, and spirituality. But in recent decades, the literature of America’s Haredi [ultra-Orthodox] community has taken on brand-new forms: selfhelp books, cookbooks, monthly magazines, parenting guides, biographies, picture books, even adventure stories and spy novels— all produced by Haredi men and women, for the Haredi readership. What’s changed? Why did these works appear, and what do they mean to the community that produces and consumes them? How has the Haredi world, as it seeks fidelity to unchanging tradition, so radically changed what it writes and what it reads? In answering these questions, Strictly Kosher Reading points to a central paradox in contemporary Haredi life. Haredi Jewry sets itself apart, claiming to reject modern secular culture as dangerous and threatening to everything Torah stands for. 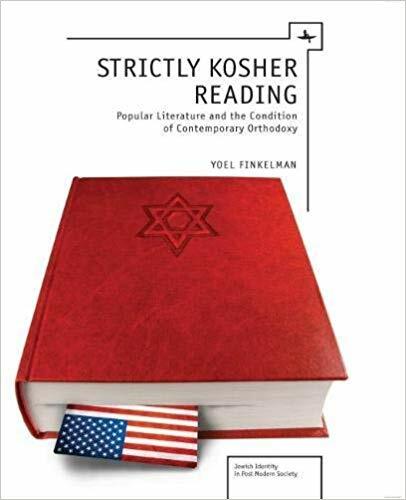 But in practice, Haredi popular literature reveals a community thoroughly embedded in contemporary values. Popular literature plays a critical role in helping Haredi Jews to understand themselves as different, even as it shows them to be very much the same.